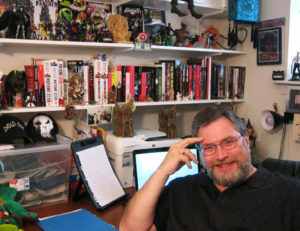 There are few horror writers out there today as prolific as New York Times’ bestselling author Jonathan Maberry, who won the Bram Stoker Award for his first horror novel, Ghost Road Blues, in 2007, and has gone on to receive horror fiction’s most prized honor three additional times. As I write this post, he is nearing completion of his 25th novel. A multi-dimensional writing talent, Maberry is known not only for his adult novels such as Dead of Night and Patient Zero, but also for his comic books and his YA books. ROT & RUIN, a SciFi novel set in post-zombie-apocalypse and told through the eyes of 15-year-old Benny Imura, made it on Booklist’s Top 10 Horror fiction for Youth in 2011 and is now in development for film. Maberry is a busy guy but not too busy to make time to share his writing journey with other aspiring authors. At this year’s Dragon*Con convention in Atlanta, I had the privilege to hear him speak on two author panels and included some of his more memorable soundbites on my DragonCon wrap-up blog post. 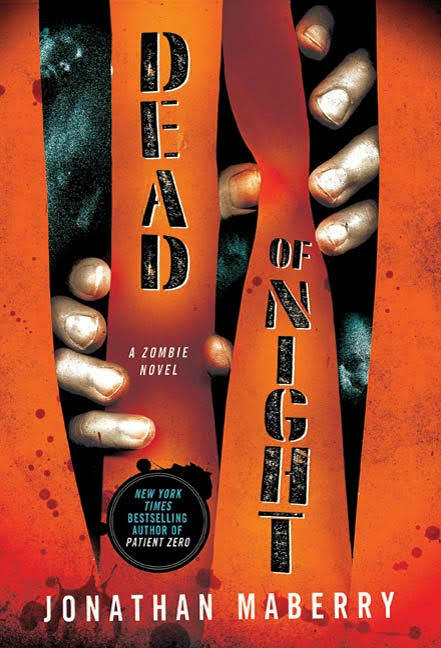 A week before Halloween, while in the throes of reading book one of Maberry’s Dead of Night series, I asked him to be featured on The Writing Well. He not only agreed, but he also responded to my questions within a few hours the day before a major trip. That says it all. Here’s our Q&A about his journey as a writer — sit back with your favorite Halloween brew and enjoy! THE WRITING WELL: What drew you as a writer to the dark themes that are prevalent in your novels, especially the zombie-apocalypse? Wacky Harry Potter character, Luna Lovegood. genuine monster. A couple of things cast a little light into that darkness. 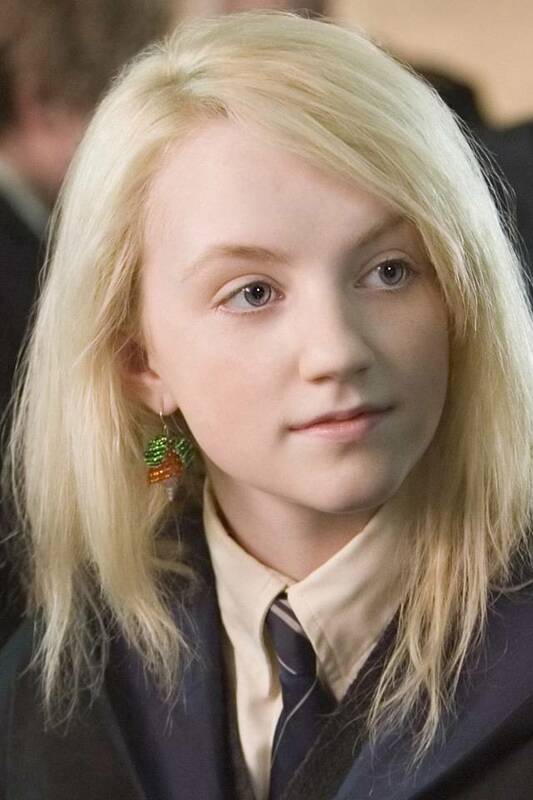 My grandmother (imagine Luna Lovegood from the Harry Potter movies as an old lady) was very knowledgeable about folklore, myths and legends, mostly from Europe. She gave me many books to read, told me wonderfully creepy stories, and encouraged me to imagine the endings to the folk tales she’d tell. And my middle school librarian encouraged me to read science fiction, fantasy and horror. She knew I wanted to write and my stories tended toward the dark. She was also the secretary for a couple of clubs of professional writers, and so was able to introduce me to some of the members. They included Ray Bradbury, Richard Matheson, Robert Bloch, Harlan Ellison and others. Those writers, especially Bradbury and Matheson, took me under their wings, offered advice and critiques of my stories, and they encouraged me to read even deeper. However one thing to note is that I don’t write about monsters. I write about people who confront monsters. I don’t write about darkness. I write about people who combat darkness. The difference is significant. THE WRITING WELL: Why do you think that genre is so compelling to people (as evident by the phenomenal success of “The Walking Dead”? JONATHAN MABERRY: We are all afraid of something, even the bravest of us. I’m now a big man and I’ve been studying martial arts for over fifty years. I’m an 8th degree black belt in jujutsu, a member of the international martial arts hall of fame, and a former professional bodyguard. I’m not afraid of, say, a maniac with a knife, but that doesn’t mean I’m free from fear. I fear diseases, mishandled technologies, religious extremism, and so on. Things that are too big (or, in the case of pathogens, too small) for me to fight. Those are things that I can’t defend my family against. We all understand fear. Horror fiction allows us to explore extreme cases of fear. Zombies are a perfect example of that. We see the zombie outbreak in books, TV, comics and movies and we wonder how we would survive. Could we, in fact, survive? Could we keep our families safe? Could we fight back and win? This same what-if thinking flows over into stories about vampires, werewolves, pernicious spirits, and so on. We walk through the shadows of fictional horror carrying a torch of our own optimism and imagination. 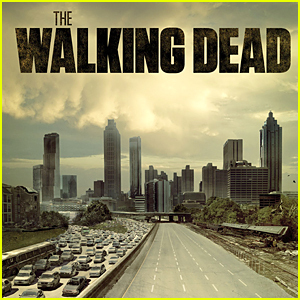 Shows like “The Walking Dead” are not about zombies. They are about people trying to rebuild their lives after catastrophic damage. The title of the show, by the way, does not refer to the zombies. Robert Kirkman has been quite eloquent in explaining that Rick, Daryl and the others are the ‘walking dead’. The lives they once lived have ended and they are searching for a new place to be alive again. Fiction allows us to share that journey and apply much of it to our own lives. THE WRITING WELL: How would you describe your writing process? JONATHAN MABERRY: I am a methodical writer. I’m deeply passionate about the craft of writing and I love the business aspects as well. It’s both my job and my calling. Since it is my job, I put in the hours. I write every day. I hit my deadlines. I expand my business by developing new stories, I manage my own social media (I do ten minutes of social media every hour of my writing day), and I devote time to cultivating and supporting other writers. On a typical workday I spend two to four hours each morning, usually working at a coffee shop. Then I hit the gym or go for a long walk with the dog. In the afternoon I return home and do another four hours in my office there. I try to write 3-4 thousand words per day. A bit less if I’m traveling, at a convention, or giving a talk. More if I’m closing in on a deadline. This year I’ll have written four and a half novels, twenty-two short stories, a dozen issues of comic books, and appeared at thirty-one events. THE WRITING WELL: Do you write first from a character or a plot premise? JONATHAN MABERRY: I do both. My stories usually start with characters. They usually wander out of the back of my mind and into a story that’s forming based on something I’ve seen, read, or cooked up. Once I know the character, I think about what the character wants and what he needs. At that point I sit down and hammer out a loose plot. I always allow my stories to change in the telling, of course, because it’s unreasonable to assume that you had all your best ideas the day you outlined your book. Once in a while a plot premise will come first, but as soon as I have that I shift gears to examine the human element of the story. Stories are about people, not events. That’s critical to good storytelling. THE WRITING WELL: At a Dragon*Con panel you said you always run your stories by your wife for feedback. What was the most memorable feedback she ever provided? 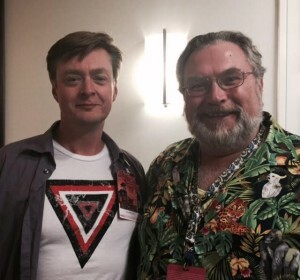 Authors AJ Huntley and Jonathan Maberry at the 2015 Dragon*Con held in Atlanta. JONATHAN MABERRY: One of the most important aspects of my creative interactions with my wife, Sara Jo, is that she is all about characters. She will call me on it if a character is ever acting contrary to their presumed nature. She calls it ‘acting out of integrity’. She is invariably correct. She isn’t a writer, but her understanding of people is superb, insightful, and wise. We met walking in a park. Well, I was walking and she was jogging. The person with whom I was walking was a mutual friend, so Sara Jo stopped to talk. She and I had a little moment of shared electricity. But I thought she was married, and she thought I was dating the woman I was strolling with. Neither was the case. When Sara Jo found out I was single, she called me. I have never much believed in the ‘love at first sight’ thing, but you can call me a convert now. THE WRITING WELL: Finally, what aspect of your own craft have you worked on the hardest to master or fine tune (the thing that perhaps didn’t come as easily)? How can up-and-coming writers do to get their writing to the next level? JONATHAN MABERRY: Fiction was the real challenge for me. Even though I wrote stories as a kid, I planned to become a newspaper reporter. I went to Temple University to study journalism, and while I was there I began selling magazine feature articles. For twenty-five years I wrote articles, columns, and reviews for magazines of all kinds. While teaching at Temple University I began writing textbooks –not on writing, but on martial arts history, women’s self-defense, and related topics). And I also wrote greeting cards, song lyrics, poetry, plays, how-to manuals, training scripts, and a slew of other materials. It wasn’t until the early 2000s that I decided to try fiction. It was an experiment and I had no formal training in creative writing. None. To teach myself the craft, I read everything I could, and then I began deconstructing my favorite novels in the genre in which I wanted to write. I read those books as a reader, and then I re-read them multiple times as a writer, breaking them down to the three acts, then to outlines, studying the elements of figurative and descriptive language, voice, pace, tension, action, dialogue. All of it. When I felt that I was ready I outlined a novel and began writing. It took me over three years to finish that book, and another six months to revise it. That’s the point at which I had to go out and find an agent. I got a good one, too. Sara Crowe, currently of the Harvey Klinger Agency. Sara sold my first novel, Ghost Road Blues, and its two sequels to Kensington’s Pinnacle imprint. 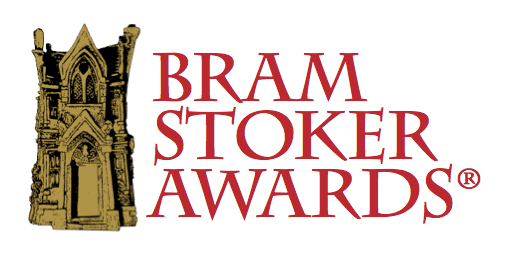 The book surprised the hell out of me by winning the Bram Stoker Award for Best First Novel. 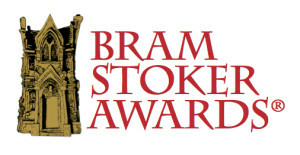 That award seriously validated my decision to try fiction. As I write this I’m three days away from finishing my 25th novel. And I write short stories and comics. Fiction is virtually everything I do in this phase of my writing career, and I have very little interest in looking back at my nonfiction days. Two of those novels are in development for film and another is in development for TV; and I’m adapting Ghost Road Blues into a pilot for a potential series. However, I’m still learning the craft. It’s fun but not easy, and I believe it is incumbent on every writer to try and better their best. Always. This entry was posted in Author & Literary Trivia, Author Interviews, Storytellers, Writing Tips and tagged Dead of Night, horror writing, Jonathan Maberry, writing inspiration, writing tips, zombies on October 31, 2015 by AnneWainscott.